We’d love your help. 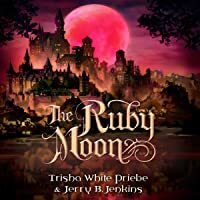 Let us know what’s wrong with this preview of The Ruby Moon by Trisha White Priebe. To ask other readers questions about The Ruby Moon, please sign up. Series: Book #2 in the “Thirteen” series. (Re Not. Spiritual Content- Going to chapels; A few Scriptures are quoted & remembered; Talks about God; Mentions of God & His favor; Mentions of prayers & praying; Mentions of chapels & going to chapels. Negative Content- Minor cussing including: a form of ‘stupid’; Mentions of eye rolling; Mean girls/women & mentions of hateful attitudes and mean comments; Many mentions of killing, deaths, dying, illnesses & poison; Mentions of a fire, deaths & possible assassination attempt; Mentions of death sentences, hangings & gallows; Mentions of thieves, criminals & stealing; Mentions of kidnappings; Mentions of scars & injuries; Mentions of threats; Mentions of jealousy; Mentions of gossip; Mentions of a dog killed by a knife (barely-above-not-detailed); Mentions of a dead bird (barley-above-not-detailed); A few mentions of blood & bleeding someone out (barely-above-not-detailed); A few mentions of lying. *Note: A mention of man calling out (salty) comments to girls. I’m not quite sure how to go about reviewing this one, it being a sequel and all. Since I don’t want to spoil anyone on the first book, I guess I must be vague. First of all, can we address the fact that it ended with a cliffhanger, AGAIN?!?! Yeah. Guess I know how I'm spending my second Audible credit of the month. XD All I know to say beyond that, without giving away plot details, is that I still like the character development, and the story still has me hooked. It's so mysterious and very exc I’m not quite sure how to go about reviewing this one, it being a sequel and all. Since I don’t want to spoil anyone on the first book, I guess I must be vague. First of all, can we address the fact that it ended with a cliffhanger, AGAIN?!?! Yeah. Guess I know how I'm spending my second Audible credit of the month. XD All I know to say beyond that, without giving away plot details, is that I still like the character development, and the story still has me hooked. It's so mysterious and very exciting! I totally wasn't expecting one thing that happened...actually several things that happened...and I'm looking forward to seeing how things get wrapped up! Violence: Brief mention of a bloody knife wound in the side of a dead dog. Brief mention a knife slicing an arm and brief mention of blood when a character is bled for medical purposes. Brief description of a dead bird. (No blood.) Fear of capture and execution hangs over the 13 year olds for much of the story. There are mentions of avoiding the "chopping block". There's fear that some characters may die of an illness. There's thought that one adult character might be poisoning another adult character. There's a big fire that kills some people, but the reader only learns about it after the fact. Sexual/Romantic: There's brief mention of a man making salty comments toward some girls, but what exactly he says is not detailed. As in the first book, Avery and all the thirteen-year-olds live secretly in the palace. The queen sent out a decree that, because there is a missing heir who is thirteen, all the kids of that age are to be rounded up and ousted (or killed?) from the kingdom. The queen is the king's second wife and wishes her own, future child to be the heir. So the children watch and wait, work as servants in the palace, and try to stop the king's enemies from taking over the throne. The plot moves quickly, the As in the first book, Avery and all the thirteen-year-olds live secretly in the palace. The queen sent out a decree that, because there is a missing heir who is thirteen, all the kids of that age are to be rounded up and ousted (or killed?) from the kingdom. The queen is the king's second wife and wishes her own, future child to be the heir. So the children watch and wait, work as servants in the palace, and try to stop the king's enemies from taking over the throne. 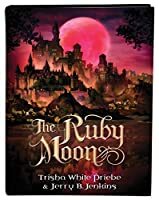 The Ruby Moon is the next book in the series that began with The Glass Castle. This is a book written for tweens and teens. It picks up right where they left off and has a few added twists; such as many of the teens that were kidnapped are disappearing with no signs whatsoever. As the remaining group tries to figure out where they are going a variety of storylines take shape. Avery is now set to run in the race for the kingdom, there is a general understanding that they are no longer safe where t The Ruby Moon is the next book in the series that began with The Glass Castle. This is a book written for tweens and teens. It picks up right where they left off and has a few added twists; such as many of the teens that were kidnapped are disappearing with no signs whatsoever. As the remaining group tries to figure out where they are going a variety of storylines take shape. Avery is now set to run in the race for the kingdom, there is a general understanding that they are no longer safe where they are and may need to move. Avery is also beginning to explore on her own and has quite an adventure and further learning of the truth on one such exploration. Kendrick has now trusted Avery with his secret and Avery learns some unforeseen truths about her mother. The book moves the story along and has another twist at the end that you will not see coming. Overall I like the message of the book, I would have liked to see more overt messaging about God but the undertones are there. I am looking forward to the final installment, The Paper Boat, due out in the spring 2017 to see exactly how the whole story comes to an end. I was mildly disappointed with this second book. I am not sure what happened, but it was like all of the suspense that was built up in book one completely deflated within the first few chapters of this book. I was so curious about the tunnels that were beneath that castle and what Avery might find within them. But when I finally discovered their secrets, it was underwhelming and dull. The tunnels didn't end up leading to anywhere particularly interesting and the things that happened within them I was mildly disappointed with this second book. I am not sure what happened, but it was like all of the suspense that was built up in book one completely deflated within the first few chapters of this book. I was so curious about the tunnels that were beneath that castle and what Avery might find within them. But when I finally discovered their secrets, it was underwhelming and dull. The tunnels didn't end up leading to anywhere particularly interesting and the things that happened within them weren't all that great either. The only things that felt like they were driving this book were the king's health, Kendrick's mysterious background and identity, and Kate's strange knowledge of the events that were taking place and the people involved in them. The other thing that bothered me was how little Tuck was in this second book. In the first book, it was like he was practically ready to propose marriage to Avery and then all of that suspense and chemistry between them just sort of fizzled out. It was weird. Not that I expected such quick progression from thirteen year old's (who have their whole lives ahead of them). It was only because that's how the writer's presented the relationship in the first book that I found myself confused by the sudden change. This second book was like a drop off where nothing really happened between them and they were barely seeing each other. The relationship picked up again near the end of the book, but it was annoying to have them apart so much in this book. It felt less like it was a plot decision and more like it was to delay the inevitable and drag out the story. I was disappointed with the Olympiad that occurred in this book. It didn't hold nearly as much fun and fanfare as all the hype surrounding it. Once the kids moved to the tunnels, it was like the whole story froze and nothing was really happening. I'm not sure if it's just because this is the middle book in the series or what, but it failed to impress me. I was disappointed with it. At times, it didn't hold much content or depth and the characters began to fall short because of that. The only question I had answered in this book from the first installment was to discover what was in the tunnels. But we were no closer to finding out where Avery's family disappeared to or who Avery was or who Kate was or anything. It was all still a mystery and unfortunately, because none of the questions I began with were answered, I started losing interest. At the very least... I felt like Avery should have found her brother in this book. It would have added a new level of suspense in trying to keep him safe and also a new dynamic among the kids since her brother was much younger than thirteen. It would have been an interesting shift in the story and would have given Avery a reason to not be spending quite so much time with Tuck. But I suppose the toss up would have been less freedom for Avery to explore and discover new things... which probably would have ended up being a hindrance to her. ISBN: 9781634099035. October 1st 2016. Shiloh Run Press. I received my Ecopy through Netgalley. In this delightful sequel to The Glass Castle, The Ruby Moon opens as preparations begin for the upcoming Olympiads. Join Avery as she learns that a male runner is needed for an important race and she volunteers so she can get close to the action. . . Can she hide her own identity? One slip-up could mean a trip to the dungeon–or worse. Much is at stake while the kingdom enjoys the greatest games on ear ISBN: 9781634099035. October 1st 2016. Shiloh Run Press. I received my Ecopy through Netgalley. 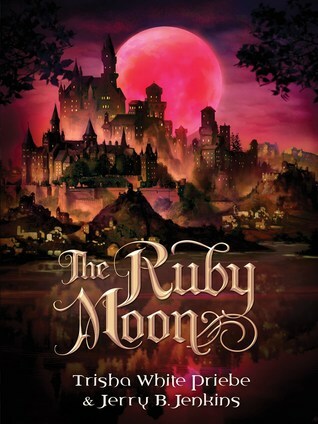 In this delightful sequel to The Glass Castle, The Ruby Moon opens as preparations begin for the upcoming Olympiads. Join Avery as she learns that a male runner is needed for an important race and she volunteers so she can get close to the action. . . Can she hide her own identity? One slip-up could mean a trip to the dungeon–or worse. Much is at stake while the kingdom enjoys the greatest games on earth. I really rather enjoyed this book. The plot was fascinating, the characters likeable and the cover gorgeous. As a big fan of YA/Teens books, this fitted in perfectly in the genre. It’s very well written in most places. Although I could see when each author wrote each bit in other places, and it threw me off a little. But this book was a very fast read so I didn’t mind too much. I know a few youngsters who might enjoy this so will be recommending it along with the first (Glass Castle) for them to read. Just as good as the first book! The way the story continues, the more you find out about certain characters, the more the story unfolds. I really enjoyed the second book in the ‘thirteen’ series. I love the story and the characters. And I love the crazy cliff hanger at the end! The more secrets which are explained, the more mysteries grow... Looking forward to starting The Paper Boat to pick up where this one left off! This is a quick and easy read with no lull in the adventure, recommended for all ages. Same as my review of the first book. Good story, fun to listen to- the audio recording his well done. But I hate how much I am left hanging at the end of the book. I don't want to keep reading the series because of it. This book continues where The Glass Castle left off. Avery is in the kings castle with a number of other 13 year olds. The queen seems to be out to get them. The story progresses as Avery explores the castle and looks for a way to save all of them. Another awesome book in this series!! Now to start the last book!! Delicious reading and captivating excitement. I am on to the final book but. I will be sorry when it ends! This story is full of adventure and intrigue. It is a great follow up to The Glass Castle and it keeps you on the edge of your seat. Can't wait for the next one, youth fiction, enjoyable for all ages. Plot summary: This is the second book to the glass castle and Avery is about to walk into the tunnels. She knows it is forbidden but she needs to do this. It is not bad if it is for a good cause right. Avery opens the door to the tunnels and walks in. The candle she brought flickers and dies but she is determined. Little did she know that this decision would change her life and everyone she knew and loved. Later the king is hosting the annual celebration for everyone in the kingdom. Spoil Alert! Plot summary: This is the second book to the glass castle and Avery is about to walk into the tunnels. She knows it is forbidden but she needs to do this. It is not bad if it is for a good cause right. Avery opens the door to the tunnels and walks in. The candle she brought flickers and dies but she is determined. Little did she know that this decision would change her life and everyone she knew and loved. Later the king is hosting the annual celebration for everyone in the kingdom. There would be games and food for all but most importantly the race. Avery wanted to be in the race but if she lost she would be hung. If she won she would have a special meeting with the king! It was a risk she took to save her friends from the nasty castle they were trapped in. Analysis: A character from the book that has no name met Avery in the tunnels and it was a strange woman who only said one sentence and then vanished. "leave and never return we know who you are and you do not belong down here." This obviously made Avery run for it and not look back. So this character brings fear into this book. It makes Avery frightened and the reader frightened as well. So in the end this character brings fear into the book very well! Theme: One of the themes would have to be never give up on yourself. In this book there was very many times when Avery had to go through a lot of things but she did not loose hope. She raced for the celebration and she was trailing way behind one guy who was insanely fast. She felt like she was about to die but she pressed on and eventually she gained up and won the race. If she would have gave up when she felt dead she would have got killed. She chose to keep going and to never give up on herself even when it seemed impossible. I especially liked how the author wrapped up this story in a satisfying way, while leaving loads of opportunity for the sequel, which also did not disappoint. All I hope is that the next book comes out on time in April, because my 11-year old is already hounding me about it! I was provided an advanced copy of this book by the publisher through Netgalley. I think that quite a bit of this review is going to be reiteration of what I said about the first book. 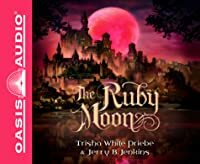 The Ruby Moon is the continuation of a great idea, but experiences the same problems that The Glass Castle did. I sped through this book, seeing as it’s very fast-paced. I have to say that it makes total sense considering the book’s middle-grade audience. It’s probably great for middle-grade readers, but it just did I was provided an advanced copy of this book by the publisher through Netgalley. I sped through this book, seeing as it’s very fast-paced. I have to say that it makes total sense considering the book’s middle-grade audience. It’s probably great for middle-grade readers, but it just didn’t work for me. Honestly, I would put down these books as “not for me” if I hadn’t fallen in love with the idea and the atmosphere of the books. My biggest disappointment isn’t that these books are bad; it’s that there’s not enough. We get to know Avery a bit more in this book, but there’s still quite a bit left to be explained. She seems like a sweet girl and her imperfection makes her more realistic, yet I’m still not connecting with her. Avery doesn’t seem to have those quirks that make her likable or relatable. Again, The Ruby Moon ends in the middle of a scene. Neither of the books have any sort of climax or resolution. This bothered me in The Glass Castle, and it did not change in its sequel. This is a delightful series for tweens, young teens and adults. I enjoyed this book too even though the recommended ages are 10 to 15. Since it is Christian fiction, it doesn't contain the kind of material you really don't want to expose your children to. It's amazing what they put in books for this age group. I did not think it worked well as a stand alone. I would recommend that you read the first book, The Glass Castle, before this one. Since I read the previous book months ago, I was a bit lo This is a delightful series for tweens, young teens and adults. I enjoyed this book too even though the recommended ages are 10 to 15. Since it is Christian fiction, it doesn't contain the kind of material you really don't want to expose your children to. It's amazing what they put in books for this age group. I did not think it worked well as a stand alone. I would recommend that you read the first book, The Glass Castle, before this one. Since I read the previous book months ago, I was a bit lost when I started reading this. Bits and pieces came back to me as I continued, and I was grateful for that; however, there isn't enough information if you begin with this one. I appreciate how the authors incorporated prayer and faith into the story. The plot is one I enjoyed; however, the book ended in a mild cliffhanger, and I am looking forward to the next in this series. This book is as good as the first one. I just wish there were more pages in each book and there wasn't a cliffhangar.